Mudfish DNS Client is a helper program to encrypt your DNS request. This could be used to bypass DNS poisoning. Download and install DNS Client at https://mudfish.net/download link. If you’d like to launch DNS Client whenever Windows boots up, please check “Launch Mudfish DNS Client when booting” checkbox at last page of installer. If it works properly, the program icon is shown at system try. Now you need to change DNS address of your OS. 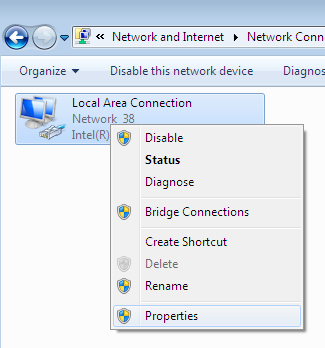 Move to “Control Panel” -> “Network and Internet” -> “Network and Sharing Center” -> “Change adapter settings”. 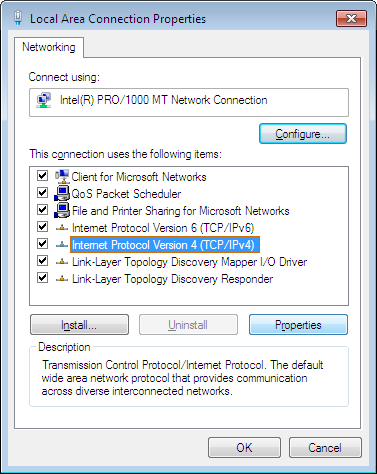 Then open “Properties” menu of network interfaces.